There are various tooth conditions that are very painful in nature, but some are far more troublesome than the others. Sometimes, the tooth may get cracked and start decaying. This can also result in inflammation and can cause tooth loss. The nerve tissues get damaged and can cause immense pain especially during the night. Sensitivity and discomfort are generally accompanied with such conditions. Does not sound good, right? It is very important to get rid of this condition as early as possible. It is more serious than it appears to be. It can cause a lot of damage apart from the pain it causes. A root canal is a treatment for such a situation. You can always hop into our clinic for the best root canal treatment and facility. Sedation makes the procedure very easy and painless. In fact, you feel no pain when a root canal is being performed as the area is numb. The endodontic treatment involves the clearing of a diseased nerve from the root of the affected tooth. 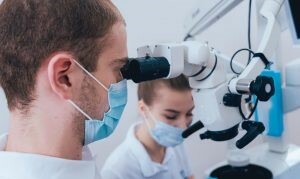 We make use of the latest technology and very special microscopic techniques for finding out any sort of hidden cracks in the tooth. 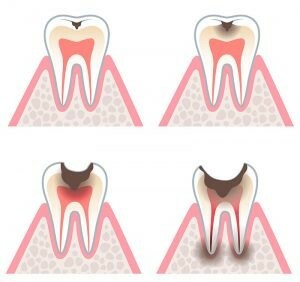 There are some cases that might even require an apical surgery post the root canal treatment for eradicating the infection. Our endodontists are all experienced and are known for carrying out even the trickiest procedures with a blink of an eye. You just need to sit back and relax and leave the rest to us!